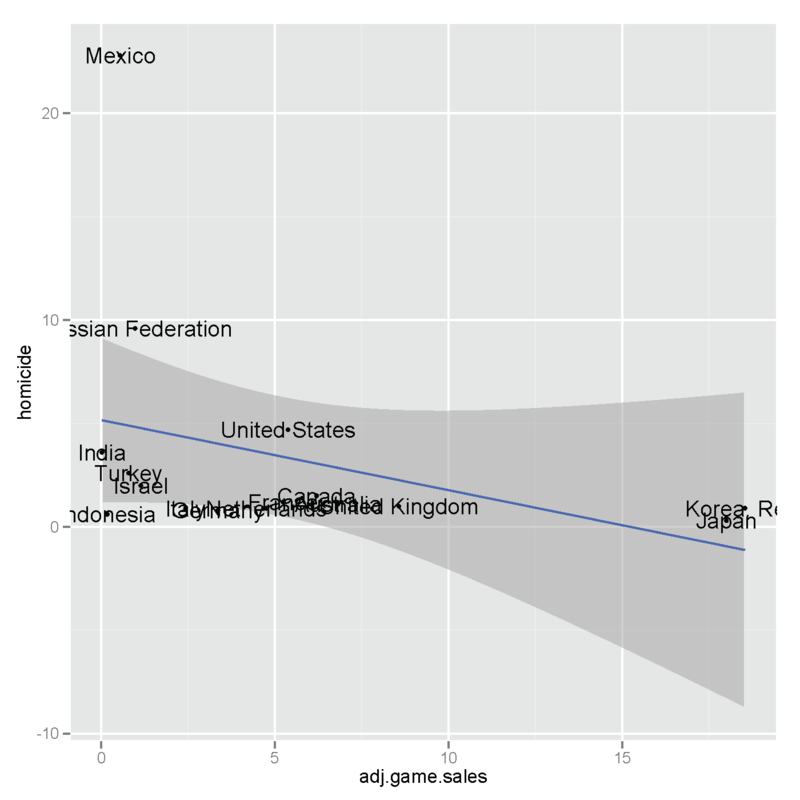 I took a quick look at game sales and homicide rates. Regression analysis was made using R (version 3.1.1) and lm. 2011 was year where I had null data points minimised.